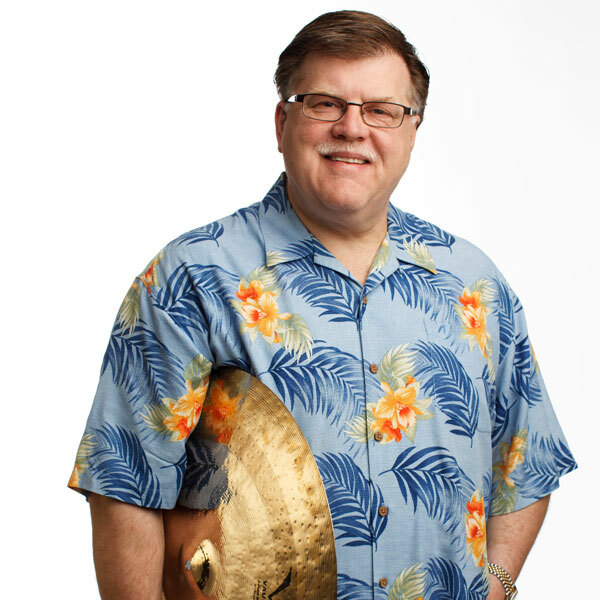 In over 30 years of concerts and tours, Breithaupt has performed in diverse solo, group, and orchestral settings and has appeared with a virtual "Who's Who" of great jazz talents such as Terry Gibbs, John Pizzarelli, Kirk Whalum, and dozens of other notable artists. He regularly performs with many of the nation's finest orchestras along with trumpet virtuoso Byron Stripling and Broadway star Sandy Duncan. Breithaupt is an artist/endorser and consultant for the Yamaha Corporation, SABIAN, Ltd., and Remo, Inc.; he has his own signature drum stick line, produced by Innovative Percussion. As a businessman, Breithaupt was one of the founders of Columbus Pro Percussion, Inc. and served as vice-president for twenty-five years. The recipient of numerous honors and awards, Breithaupt received Bowling Green State University's Outstanding Graduate Award, was a fellow in the Jefferson Academy for Leadership and Governance, participated in the prestigious Executive Program for Nonprofit Leaders in the Arts, a joint program of National Arts Strategies and the Stanford Graduate School of Business, and was the founding chair of the Columbus Cultural Leadership Consortium.